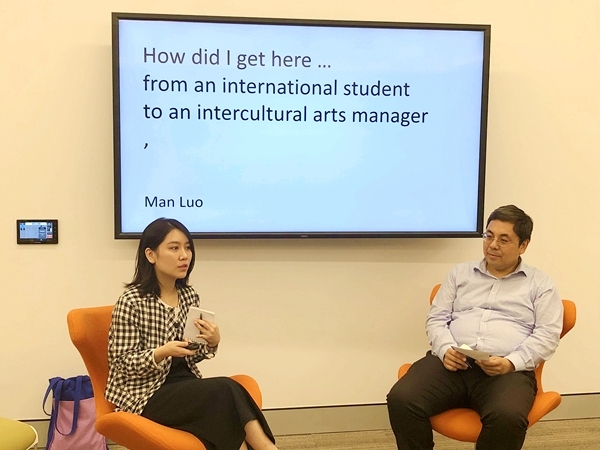 On 15 April, 2019, Gallery Manager of Vermilion Art, Ms Man Luo, was invited to ACIAC to meet its Master of Chinese Cultural Relations students for a session of experience-sharing. On 10 April, 2019, ACIAC had its Adjunct Professor Carrillo Gantner AC in to kick off the series with his inaugural lecture, “Hugging Bears”. 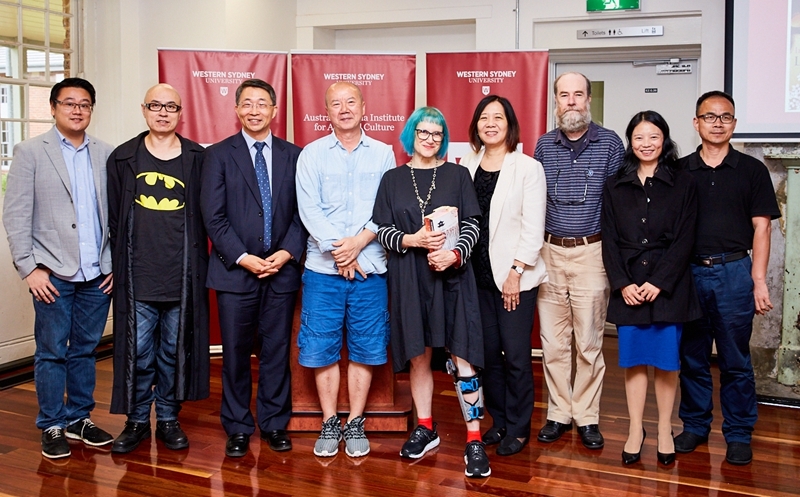 On 5 April, 2019, one of Australia’s renowned experts on Chinese language and culture, Linda Jaivin gave a seminar at ACIAC and talked about her two novels that are set in China — "A Most Immoral Woman" and "The Empress Lover". 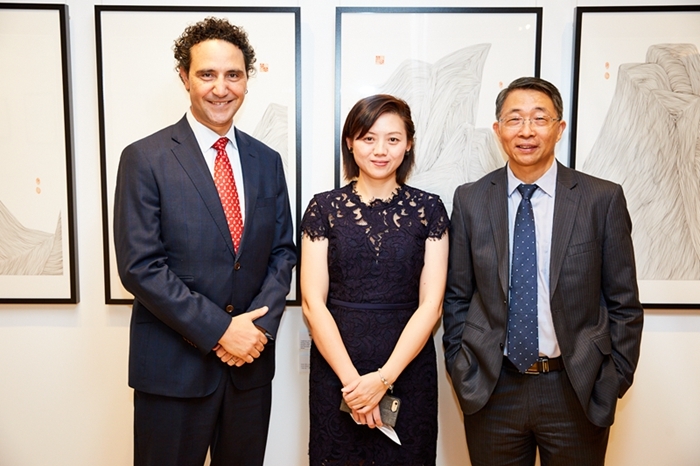 On 28 March, 2019, ACIAC opened the exhibition of thirteen artworks by the transcultural artist — Bingbing Chen。 Pro-Vice Chancellor of WSU Professor James Arvanitakis, who is also curator of the exhibition, spoke at the opening. On 19 March, 2019, Post-80s visual artist and art educator Rose Wong visited ACIAC and shared her recent works and artistic practices. 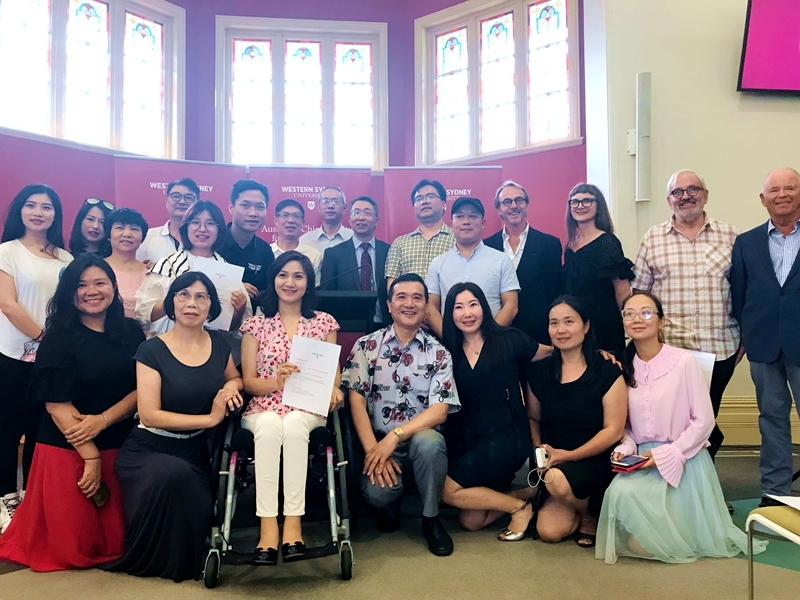 On 2 March, ACIAC hosted a reception to mark 2019 Chinese New Year with the community. The reception attracted an enthusiastic audience of over 100 people from all over Sydney. On 20 February, 2019, ACIAC’s four visiting scholars, Ren Xiaofei, Feng Ruizheng, Liu Feng and Zhang Jie, from China did a group seminar on the translation and dissemination of ancient Chinese primer classics. 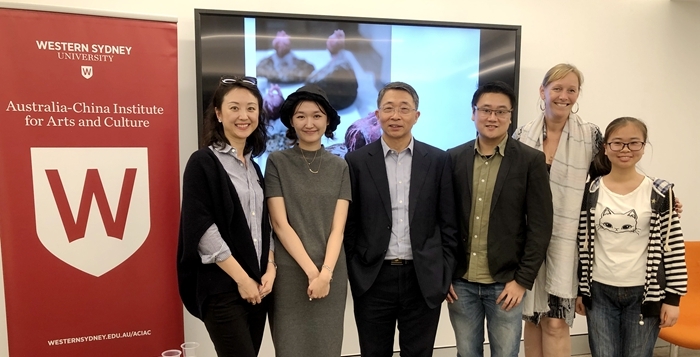 On 19 February, 2019, ACIAC co-hosted a poetry reading event for the delegation from the public channel of Hunan Radio and TV Broadcasting. 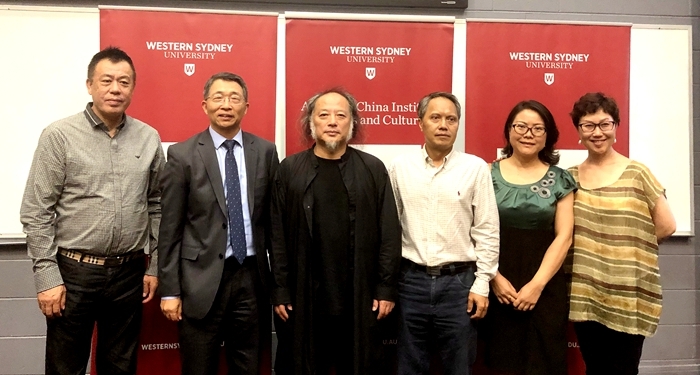 In January 2019, the renowned Chinese Guqin master Mr Wang Peng was invited to be part of Sydney Festival, and during his stay in Sydney, he came to ACIAC to do a classical Chinese music workshop. Dr Geoff Raby is an economist and diplomat. He went to Beijing in 1986 to serve as First Secretary (Economic) at the Australian Embassy. In 2007, he became the Australian Ambassador to China. In 2011, he started a business advisory firm called Geoff Raby & Associates in Beijing and there he made his home. Dr Raby is currently Chair of ACIAC’s Advisory Board.